The project I have choosen to start with is flying the rocket back to the launch pad. So I am experimenting on some algorithmes to guide the rocket back to the launch pad. This is something that is commonly used by people that are flying drones. In order to starting playing safelly I have decided to do some ground test so I have built a little rover with a GPS module. 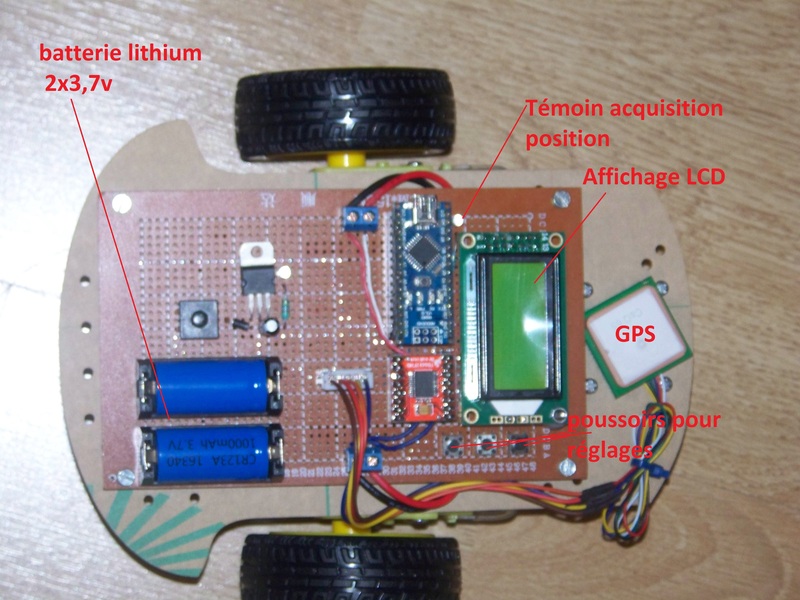 The objective is for the robot to memorize a GPS position and to be able to return to that position as fast as possible.